Thank you for visiting the Media Page. Here you will find many of the other places that I have done interviews, or been featured. If you want to interview me, just use the Contact Me form. I am happy to provide top level information as well as product reviews. Jobstr.com is a really cool site. It lets readers ask questions of folks in just about any job you can think of. This is my Q+A thread, Humble Mechanic on Jobstr. You may be wondering why an auto mechanic would be on a tactical podcast. Well, Luke and I talk about vehicle preps and simple ways to keep your car from breaking down. This was one of my favorite interviews. 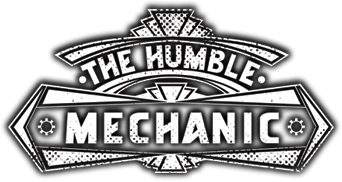 Humble Mechanic on Triangle Tactical Podcast. I have done a few guest posts for the folks over at GT Radial Tires. Humble Mechanic on GT Radial Tires.